Using an inversion table safety can provide a wealth of healthy benefits. However using one incorrectly can be fairly dangerous. As can partaking in inversion if you suffer from certain health problems. For many, using an inversion table should be perfectly fine and most should find it a very beneficial activity. However, if you are a little unsure about any health issues you may have, you should consult a medical professional before using inversion. Obviously inversion can be pretty dangerous if you do not take good care! Many problems that may arise can often be avoided by simply checking the inversion table is set up correctly and by ensuring your ankles are securely locked in place. If you are concerned that inversion may be dangerous we would recommend you read the blog post how to use an inversion table. This beginners guide highlights some of the safety checks you should do before using an inversion table. Generally speaking inversion tables are fairly safe to use, provided they are used correctly. As you would expect inversion table manufacturers put their tables through numerous safety checks before releasing them for the public to purchase. If an inversion table on the market was consistently unsafe you would soon hear about it in the buyer reviews! Therefore it is not in any companies interest to release a low quality, unsafe product. 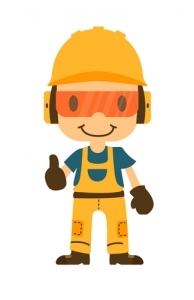 It is also in your interest to read the buyer reviews and avoid poorly rated inversion products. So why do accidents occasionally happen? The best guess would simply be due to people not paying proper care and attention when using a table. One example would be if the user is heavier than the recommended weight capacity. The user may get away with using the table frequently without any issue, however if one day the device failed due to the excess weight they would only have themselves to blame. 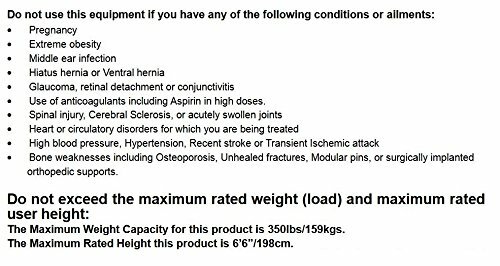 Manufacturers will always list the recommended weight capacity on the inversion table product pages and often provide safety tips also. You can see an example of this in the image to the right where you can see some of the safety information for the IronMan 4000 table. You will also find safety tips and specifications in the user manual or DVD that comes with the inversion table, so it is a good idea to familiarize yourself with them. If you are in the situation where you need a very strong inversion table to hold your weight, check out this post on the best inversion tables for larger people. However as you will see below, if you are excessively obese using an inversion table is not recommended. When should you not use an inversion table? As you will see on many inversion table product pages, the advice is often to consult a licensed physician or a doctor before using an inversion table. This is especially important should you have any medical conditions you are already aware of. It is also important to understand that, although inversion tables tend to help or relieve some people that suffer from back issues and back pain. It is not a one size fits all solution and some may find that using an inversion table could aggravate or worsen their particular issue. Since the main reason many people turn to inversion is due to back pain, it is always advised to seek professional medical advice before considering purchasing an inversion table. So why is it advised that anyone who suffers from one of these issues should not use an inversion table? When you invert there is an increase in pressure in your head and brain. The blood rushes to the upper area of your body and it is for this reason that inversion may be unsafe for users with high blood pressure, glaucoma and ear infections etc. Anyone who has used an inversion table before is likely to have experienced this rush of blood and the occasionally uncomfortable build up of pressure in the head. It can be fairly common in my experience when you invert too quickly without getting accustomed to the table or the shift in gravity. You may also find from time to time you feel a little lightheaded and dizzy should you invert or revert too quickly. Can I use an inversion table even if I do suffer from any of these symptoms? The only person who can give you a solid answer on this is your physician or doctor. You can find more information about this question online, however why risk it? What works for one person may not work for another and therefore you can easily be deceived or misguided when searching for this information online. This is especially true if you are searching out approval from someone with a similar condition to yourself. Just because an individual suffers from a similar issue and they had no problem with inversion, it doesn’t mean that you should blindly follow without checking with your doctor. 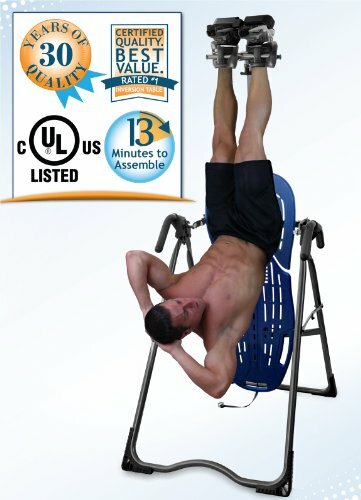 Would you rather take the word of someone leaving a review for an inversion table, who perhaps states they suffer from high blood pressure yet were fine when using the inversion table? Or would you rather have a professional opinion tailored to you personally? This cannot be stressed enough! If you are in doubt whether inversion therapy is a good choice for you, check with your doctor/physician! You may find, even if you do suffer from any of the above list your doctor gives the go ahead, provided you use the table at a restricted inversion angle. However only your medical professional should make this call! As always there are some great videos on Youtube that look into the risks of inversion should you wish to find out a little more! This video in particular from Dr Mandell addresses the subject very well. Are there any back stretching products that do not require inversion? Luckily there are a fair few products available that can help stretch out your back that are perfect for those of us who cannot use an inversion table due to health issues. We will highlight a number of these products on this website in our shop area and in featured blog posts. Check out some of the best alternatives to using an inversion table here. Now you are aware of the risks we can focus on some of the benefits you may encounter when using inversion therapy on a regular basis. However, it is worth taking into consideration that use of an inversion table is unlikely to completely rid you of any back issues you may have. It can however provide relief from pain in the short term. On this website we will not go too deeply into the health benefits of inversion. There are numerous other sources on the internet that provide this information that we recommend you also take a look at. As has already been mentioned numerous times on this page, if you have any doubts about inversion therapy consult a medical professional. The spinal decompression aspect of inversion is the main reason many get involved with inversion therapy. Years ago it was the main reason I came across inversion tables after searching online for a solution to my back pain. As you go about your day, the forces of gravity have a significant effect on your spine and muscles as they constantly make small corrective movements in order to keep you balanced and upright. Even when you are in a seated position or laying down there is still pressure present from the effects of gravity. When you are inverted on an inversion table you reverse the pressure placed upon your spine, thus allowing for spinal decompression where the pressure inside the spinal discs is reduced. The inter-vertebral discs (highlighted blue in the image to the right) that separate the vertebrae of the spine, contain a soft jelly like substance within their inner core. This substance helps to provide flexibility and spinal mobility as we go about our day. Spinal discs rely on the transfer of fluids/nutrients from the vertebrae in order to stay hydrated and healthy. Due to the pressure caused by gravity on a daily basis the discs lose moisture and contract in size as the vertebrae move closer together. This throughout the day pushes fluid out of the disc into neighboring tissue. The compression of the vertebrae can increase bone on bone activity as well as cause uneven pressure on the discs which may lead to herniation of the discs. It can also cause nerve pressure which can cause back pain. When you invert the reduction of pressure helps discs to pull the moisture, nutrients and oxygen back into them. This reduction of pressure may also help with herniated discs since it could aid in drawing the soft substance contained in the disc nucleus back into place. As we get older we tend to shrink in height, often losing a few inches in our older years. Even as we go about our day we tend to lose about a half inch to an inch in height, compared to when we get up out of bed in the morning. This is once again due to the effects of gravity upon our spines causing spinal compression. When we sleep, most of the fluid lost from our spinal discs throughout the day soaks back, however gradually over your lifetime less fluid soaks back into place causing the height loss many experience in older age. Since regular inversion sessions can help aid spinal decompression they may also help maintain height and posture. This however is not completely true, since inversion aids in spinal compression some may find their height does increase a very small amount. However this due to the spinal discs being less compressed rather than because you have actually grown in height! Noticeable small height increases may also be attributed to an improvement in posture. Those who suffer from bad posture have often fallen into bad habits such as slouching or slumping of the shoulders. Years of these bad habits may have also caused bodily misalignment and caused supporting muscles to become inflexible and tight. Misalignment therefore decreases the muscles capacity to deal with the forces that are placed upon the body throughout the day. Since inversion therapy can help realign the spine and the body, it is an ideal way to relax the surrounding spinal muscles which could over time make it easier to break free of bad posture habits. This benefit fits in nicely with the previous two. If you work out regularly using weights or dumbbells you may have experienced the feeling of pressure upon your spine, especially when doing overhead lifts. From my own personal experience I find inversion very beneficial after being sat at a desk all day or after any heavy lifting. As you have probably worked out from reading the last two benefits, when using weights you are placing even more pressure upon your muscles and spine. This therefore leads to more compression in the spine. When standing or sitting upright the blood oxygenated in our lungs is able to easily reach the lower regions of the body. 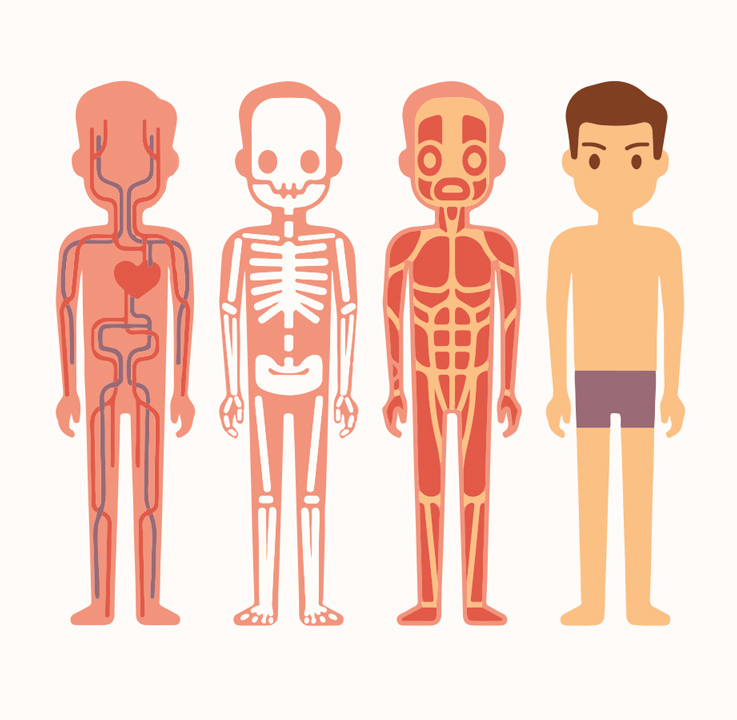 However, blood returning to the lungs and heart from the lower regions of the body has a less easy job. In the same way your spine works in unison with gravity when you invert, your body can also. Blood that has pooled around the body is more easily flushed out due to the change in gravity. The inversion process allows the deoxygenated, waste filled blood from the lower regions of the body to return to the lungs more efficiently to become re-oxygenated. 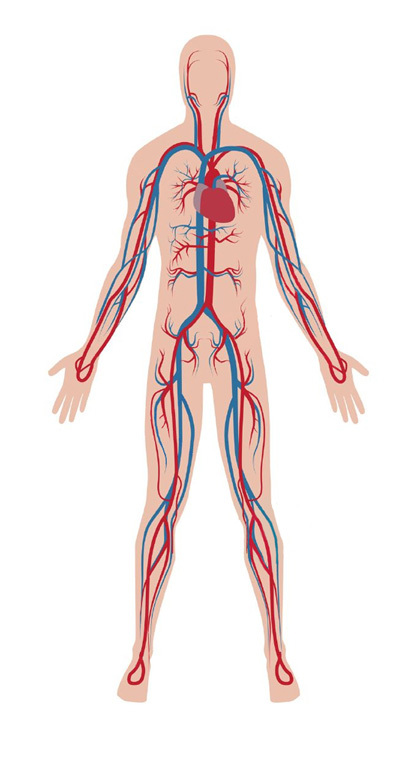 Inversion may also help alleviate circulatory conditions such as varicose veins. Since varicose veins are caused mainly by pooling in the lower regions of the body, inversion therapy can help the blood drain more easily from veins that are affected. On searching around the internet you will likely find many other sites that highlight even more healthy benefits to using an inversion table. Those listed above are however considered the key benefits by many. The Video below is also worth a watch.